Quality and reliable commercial mover services are often essential when businesses of all sizes from small to large move from one location to another. Office relocation is not an easy task; it requires time and manpower for the entire moving process as it may involve bulky and fragile items such as your tables, chairs, computers, electronics, and other valuable equipment. A professional commercial moving company has all the knowledge and skills to transport fragile items safely. 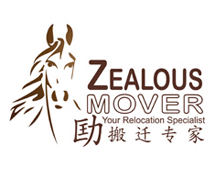 Zealous Mover is a professional commercial mover company in Singapore providing the highest quality moving services to make relocation a breeze for our clients. We are offering a wide range of customised full moving solutions to meet the specific needs of our corporate clients. We understand the unique demands of the myriad types of relocation thus ensuring that office move best suits your needs and requirements. With our vast experience and dedicated staff, we ensure that our office moving services are fast and efficient utilizing our moving technology to minimize the downtime of your business operation in between moves. We will make sure that your office relocation is efficient, successful, and right on schedule. For more details on our commercial moving services, contact us.